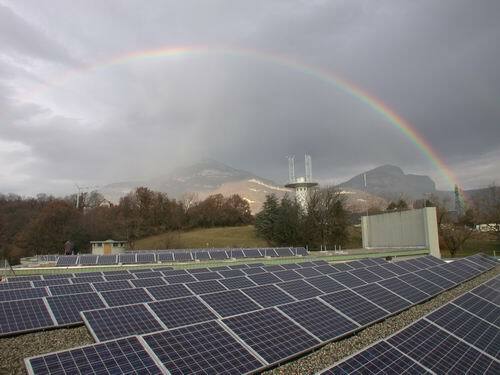 Summary The Chambery city council installed a 100 kWp PV-plant on the top of the town water reservoirs. At the start operation date, it was the largest French PV-system. The PV-modules are fixed on Console support especially designed for the installation of PV-systems on flat roof. The Console are ballasted with gravels.